If you ever want run five miles, you know that location is everything! For me, it can take a while to run my five miles so I want to run some place special. 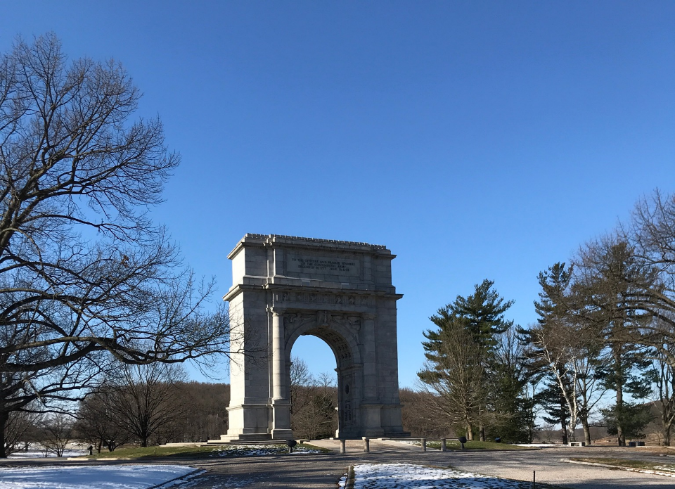 My favorite place for a five mile run is Valley Forge National Historic Park (VFNHP). Let me give you 5 reasons why I love to run at VFNHP. Distance-The Joseph Plumb Martin Trail is listed at 6.6 miles. If you park in the lot just beyond the Welcome Center, you can walk up the hill as a warm-up and then start running at the top. It’s an almost perfect five miles. You don’t have to run past the same things two or more times. You just keep running forward until you complete the loop. If you want to run further, there are over thirty miles of trails to stretch yourself (Remember, I like to stick to five miles). 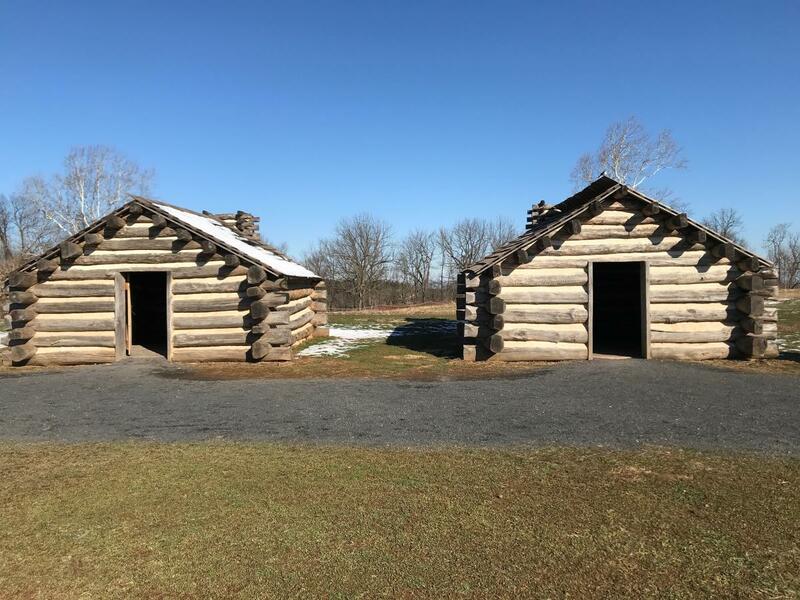 History- You run past Muhlenberg Brigade’s log cabin barracks and cannons at Artillery Park. You run right past Varner’s Headquarters and can see Washington’s Headquarters in the distance. On a cold day, you can envision the Continental Army braving the elements and keeping the spark of liberty alive. Did I mention that I love American history too? Read 1776 before you head out or listen it to it while you’re running at VFNHP. Scenery- The landscape at VFNHP is incredible no matter the time of day or the season. The forest and the meadows, birds and wildlife. But you also see beautiful manmade monuments like the National Memorial Arch, Patriots of African Descent. You can also see Washington’s Memorial Chapel and hear the bells if you time your run right. Amenities- Yes, I said amenities. There are three water fountains along the Joseph Plumb Martin Trail. You can’t beat that on a hot day. There are also two different bathrooms along the way (not including the one at the parking lot). And when I say bathrooms, I don’t mean portable toilets. These bathrooms have roofs, stalls, running water AND they get cleaned. Hills- Some runners don’t like hills. I don’t like hills. But hills are only mental. Whatever you do, do NOT walk or skip the final one. Climb it. It’s punishing but the reward when you reach the top is worth the pain. I’ve been coming to VFNHP for literally my entire life. I would sled there as a child and remember class trips, as a young adult, I would take my then girlfriend (and now wife) to watch the sunset, and as a father, I bring my children (and the dog) for picnics, games and hikes. 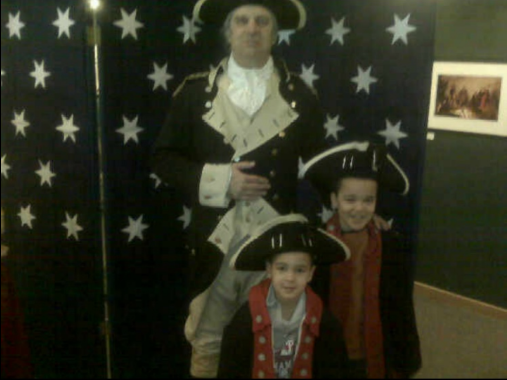 They have gotten too old (and cool) to come for General Washington’s Birthday Party (which has great cake). But I confess that my favorite way to enjoy the Park is by myself with my headphones on, surrounded by history, nature and hills, running forward to complete the perfect five mile run. Kenneth E. Lawrence Jr. is the Vice Chair of the Montgomery County Commissioners. A resident of Montgomery County for almost 35 years, he has served on Temple University’s Alumni Relations, the Valley Forge Tourism & Convention Board, SEPTA, Big Brothers Big Sisters, and Avenue of the Arts. He is a graduate of Temple University’s College of Liberal Arts with a Bachelor’s degree in Political Science, and a Master’s degree of Public Administration from the University of Pennsylvania’s Fels Center of Government. He also ran a successful public affairs firm in Montgomery County, and has been a volunteer youth sports coach in the Plymouth JR ABA, and Colonial Soccer League.